This pretty, huge woodpecker and two others were hammering away at our willow tree early in the morning. This photo was taken from my window. Hanging out the window, trying not to scare away these terrific visitors and still keeping hold of the camera all at the same time was hilarious. This was a new family of woodpeckers, Mom, Pop and the youngster. They kept moving to the other side of the tree, so getting a good photo was almost impossible. so glad I did manage to snap a decent one. 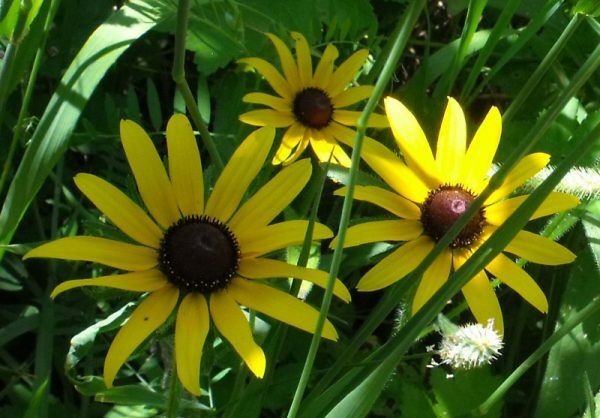 Brown-eyed Susans are one of my favourite flowers. 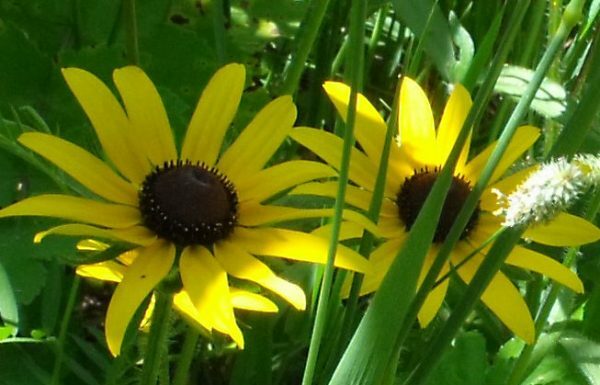 So sunny and bright, growing wild in among the grasses in the field. They would be so pretty embroidered onto a bright and sunny quilt along with white daisies and Queen Annes lace. The play of shadows along with the flowers creates a beautiful photo. 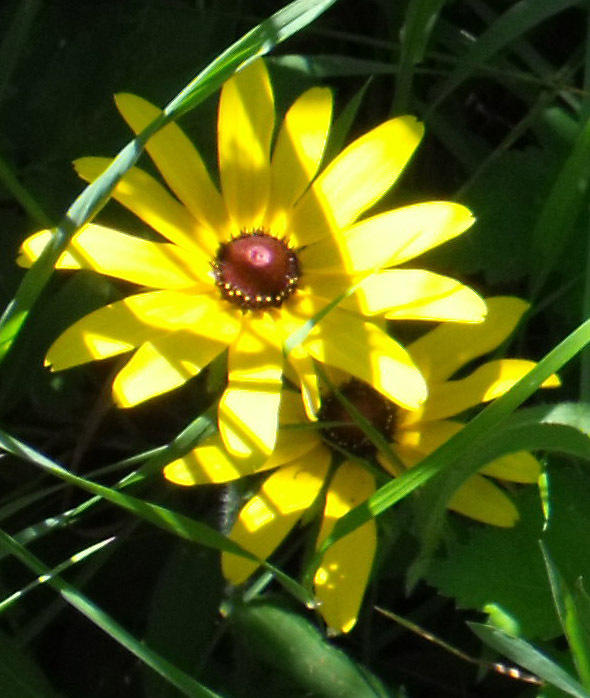 The last of the Brown-eyed Susan photos. They make my heart skip a beat they are so pretty.